Losing a family member can be hard emotionally and physically. Previous research demonstrates that grief and bereavement negatively impact socioeconomic status and a variety of health outcomes, but research has not considered the effect of multiple experiences of loss or potential racial disparities on who is more likely to lose family members. Recently, Debra Umberson and her colleagues tackled whether Black Americans experience more and earlier family deaths than White Americans. Their striking findings illustrate that Black Americans are more likely than White Americans to experience the deaths of mothers, fathers, siblings, spouses, and children. In addition, Black Americans are more likely to experience the death of multiple family members and to experience loss at an earlier age. The researchers used two nationally-representative datasets to look at the experiences of two different cohorts of Americans. One dataset included 7,617 individuals born 1980-1984 and the other dataset included 34,757 individuals born 1900-1965. Researchers calculated how likely an individual was to experience a death of a family member, as well as differences in age when individuals experienced specific deaths. Black Americans are more likely to experience the death of multiple family members and to experience the death of a family member at an earlier age than White Americans. Blacks in the older sample were about 90 percent more likely than Whites to have experienced four or more deaths by age 60. And Whites were 30 percent more likely than Blacks to have never experienced a family loss by the same age, even when researchers controlled for several social factors. For those born 1980-1984, Blacks were three times more likely to experience the death of two or more family members by the age of 30. For those born 1980-1984, Black Americans were three times more likely than White Americans to experience the death of two or more family members by the age of 30. Disparities begin young and continue throughout much of the life course. In the younger sample, Blacks were three times more likely than Whites to lose a mother, more than twice as likely to lose a father, and 20 percent more likely to lose a sibling by age 10. All disparities level off at later ages, except the likelihood of losing a child, which continues to increase for Blacks after age 50. This earlier and more frequent exposure to death is a “distinctive stressor” that almost certainly drives cumulative disadvantage by increasing stress and harming social ties. Are Sanctuary Cities Safer than We Think? While the federal effort to block funding to sanctuary cities is slowing down, states like Tennessee are developing their own bills to mandate local cooperation with federal immigration officers. There is contention over exactly what a sanctuary city is, and the guidelines for sanctuary look very different from place to place. The reason behind the initial push to defund sanctuary cities was concerns that surges of undocumented immigration lead to more crime, despite consistent research findings that immigration actually decreases crime. A recent study by Ricardo D. Martínez-Schuldt and Daniel E. Martínez explores relationships among sanctuary cities, immigration, and violent crime rates. Martínez-Schuldt and Martínez examine the impacts of sanctuary city policies on two types of crime: homicide and robbery. 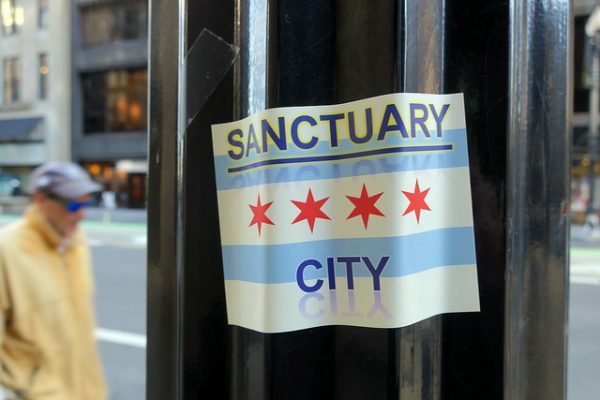 There are no official sources of sanctuary cities in the United States so the authors had to get creative, gathering lists from the National Immigration Law Center and other sources to determine which cities adopted sanctuary policies from 1990 to 2010. The authors include measures of both unauthorized Mexican immigrants and total immigrant population of cities to directly test the effects of immigration on violent crime. In contrast to the common political rhetoric, increases in unauthorized Mexican immigrants were related to decreases in homicide, but only in sanctuary cities. The authors suggest sanctuary policies may lead to more social integration and feelings of safety for immigrant communities, which could both reduce criminal activity and increase police cooperation in these neighborhoods. These results remain the same even when accounting for a variety of other city characteristics that may influence crime, such as residential mobility and social disadvantage.Sanctuary policies may lead to more social integration and feelings of safety for immigrant communities, which could both reduce criminal activity and increase police cooperation in these neighborhoods. Martínez-Schuldt and Martínez’s study demonstrates that much of the political valence around sanctuary cities and crime is unfounded. However, this political rhetoric around “crimmigration” mirrors the beliefs of many Americans. A 2017 Gallup poll found that 45 percent of respondents erroneously indicated that immigrants make crime worse. As this study shows, the link between immigration and crime is not true, and sanctuary policies may help to reduce violence in the cities that adopt them. In short, sanctuary cities may be safer than we think. Whether we wear stilettos or flats, jeans or dress clothes, our clothing can allow or deny us access to certain social spaces, like a nightclub. Yet, institutional dress codes that dictate who can and cannot wear certain items of clothing target some marginalized communities more than others. 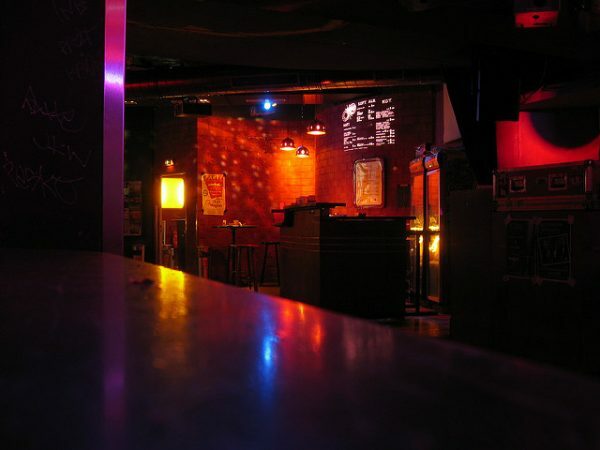 For example, recent reports of bouncers denying Blacks from nightclubs prompted Reuben A Buford May and Pat Rubio Goldsmith to test whether urban nightclubs in Texas deny entrance for Black and Latino men through discriminatory dress code policies. The authors recruited six men between the ages of 21 and 23. They selected three pairs of men by race — White, Black, and Latino — to attend 53 urban nightclubs in Dallas, Houston, and Austin. Each pair shared similar racial, socioeconomic, and physical characteristics. One individual from each pair dressed as a “conformist,” wearing Ralph Lauren polos, casual shoes, and nice jeans that adhered to the club’s dress code. The other individual dressed in stereotypically urban dress, wearing “sneakers, blue jean pants, colored T-shirt, hoodie, and a long necklace with a medallion.” The authors categorized an interaction as discrimination if a bouncer denied a patron entrance based on his dress or if the bouncer enforced particular dress code rules, such as telling a patron to tuck in their necklace. Each pair attended the same nightclub at peak hours three to ten minutes apart. 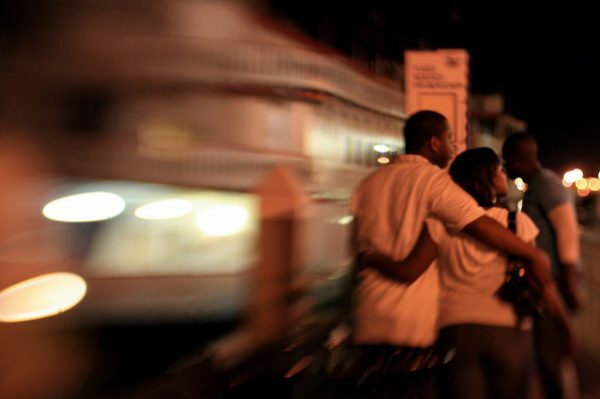 The researchers exchanged text messages with each pair to document any denials or accommodations.Overall, Black men encountered more discriminatory experiences from nightclub bouncers, highlighting how institutions continue to police Black bodies through seemingly race-neutral rules and regulations. Black men were denied entrance into nightclubs 11.3 percent of the time (six times), while White and Latino men were both denied entry 5.7 percent of the time (three times). Bouncers claimed the Black patrons were denied entry because of their clothing, despite allowing similarly dressed White and Latino men to enter. Even when bouncers did not deny entrance, they demanded that patrons tuck in their necklaces to accommodate nightclub policy. This occurred two times for Black men, three times for Latino men, and one time for White men. Overall, Black men encountered more discriminatory experiences from nightclub bouncers, highlighting how institutions continue to police Black bodies through seemingly race-neutral rules and regulations. Sexism is not simply about individual bias or action. In fact, the structure of organizations can facilitate sexism so that discriminatory practices occur even when individuals do not express sexist attitudes. In new research, Stephanie Bonnes demonstrates how bureaucracies and male-dominated hierarchies within the U.S. military facilitate discriminatory behavior towards women, like sexual harassment or abuse. 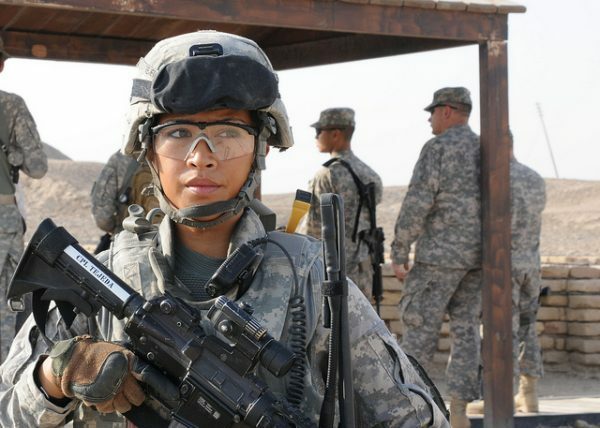 Bonnes conducted in-depth interviews with 33 U.S. service women, including 21 on active duty. More than a third of her interviewees experienced what Bonnes calls, “bureaucratic harassment,” where powerful individuals manipulate administrative policies and procedures to undermine their colleagues’ professional careers. For example, superior officers delayed women’s promotions, threatened to withhold benefits or cancel holiday leave if they reported sexual harassment and abuse. One commander even failed a service woman on an exam when she would not comply with his wishes to take a desk job, and prohibited her from retaking the test. Black and Latina service women reported that superiors cited their “attitudes” in performance reviews or infraction reports, reflecting racism as well as sexism. For instance, a White male officer reprimanded Joanna — a Latina officer — for disrespecting a superior officer, even though he was the same rank as her. In blaming Black and Latina women for their “attitudes,” these men rely on stereotypes about women of color, specifically that they are easily angered and thus unprofessional.Service women’s treatment is not simply the result of explicitly sexist commanders. The military’s policies, procedures, and its hierarchical structure promote discrimination against service women. Bonnes argues that service women’s treatment is not simply the result of explicitly sexist commanders. Rather, the military’s policies, procedures, and its hierarchical structure — imbued with some level of discretion for those in power — promote discrimination against service women. And when commanders use their discretion to give infractions or poor performance reviews, service women face serious consequences, including ineligibility for opportunities like pay raises because of holding lower ranks, and time and energy spent responding to infractions and abuse instead of devoting that energy to other important aspects of their lives. In short, Bonnes’ research allows us to understand how institutional structures — rather than simply sexist individuals — can reproduce gender inequality if left unchecked. What happens in a hospital waiting room? From one perspective, not a lot. But from another perspective, medical waiting rooms are emotionally-fraught spaces where individuals constantly identify and play out social scripts. Individuals follow sign-in procedures, wait on doctors, choose how to interact with strangers, and care for family members. Margaret Waltz spent four months observing one aspect of these mini social dramas: gender. Her study examines whose time is valued, as well as how the social interactions within medical waiting rooms reinforce gendered expectations and hierarchies. To conduct this research, Waltz observed in five hospital waiting rooms. She recorded when patients entered and left and took notes on their behavior within the room. The result includes both basic demographic information — such as the fact that all the home health care workers were women, while all of the drivers and other transport personnel from nursing homes were men — and patterns of interaction. Her writing is sprinkled with anecdotes of privilege, such as when a White man, holding coffee and a donut, asked a nurse to open the door for him — prompting laughter from the women in the waiting room. On a basic level, the logic of medical waiting rooms is (mostly female) caregivers waiting on (mostly male) professionals. 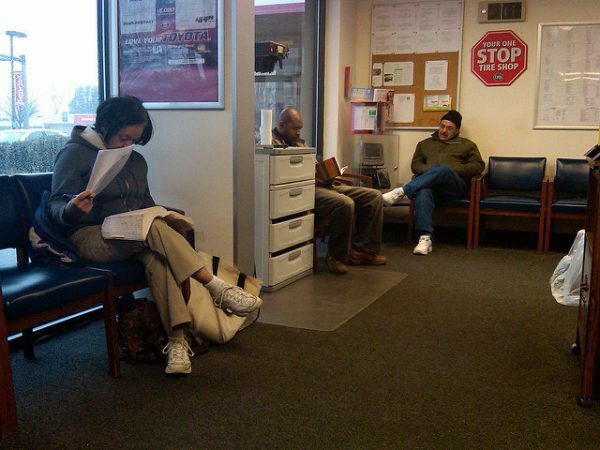 According to Waltz, “women are doing gender by waiting in medical waiting rooms, and men are doing gender by not waiting.” In addition to more women working as home health care workers, women were also more likely to accompany a family member to the hospital, making them a more constant presence in medical waiting rooms regardless of whether men were the majority of the patients. Waiting was, therefore, part of their work, whether that work was paid or unpaid. And once in the waiting room, women were more likely to use the waiting room as a social space to bond with other individuals.Men and women in hospital waiting rooms interact in ways that conform to gendered expectations and reinforce the conception that men’s time (and work) is more valuable than women’s. Men, by contrast, were more likely to be in positions where they did not need to wait (such as serving as drivers), to arrive late to an appointment or leave before their family member was seen, and to expect to be served immediately. Men were also more likely to take up what Waltz called “physical and auditory space,” spreading out over multiple chairs, talking loudly on the phone, or assuming that nurses had the time to speak with them. Waltz’s research reveals that even the structured and bureaucratic spaces of American health care are places where gender is recreated. Men and women in these spaces interact in ways that conform to gendered expectations and reinforce the conception that men’s time (and work) is more valuable than women’s. When we hear about children losing their caregivers to incarceration, we tend to think about mothers. Yet, there is a small, yet sizable group of men that enter prison while being the primary caregivers of their children. 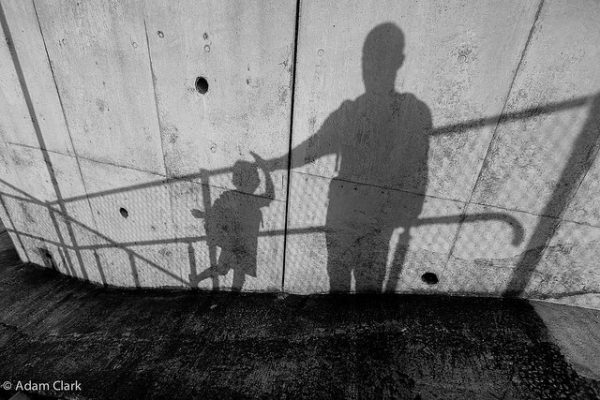 In recent research, 39 of these incarcerated men in Australia talked to researchers Tess Bartlett and Anna Erikson about how they try to uphold their roles as fathers while serving time in prison. Life in prison forced many of these men to balance their identities as both prisoners and fathers. On the one hand, they needed to display an attitude that valued strength and violence to adapt to prison conditions. On the other hand, the men wanted to preserve their nurturing and caring roles as fathers. To balance both the prisoner and the father identities, inmates purposively choose what version of themselves they want to display depending on the situation. However, some parents decided to abandon their “father” identity once in prison. Some men asked their families not to visit at all, in hopes that this would lessen the emotional burden of imprisonment for both themselves and their children. For those men who did want to stay connected with their children, the prison structure made this difficult. For example, visiting rooms did not allow men to fully engage with their children, through activities like running or playing games. Still, men wrote letters, made toys, and created art to stay connected to their children. One of the participants declared, “[I] still have a lot of offer as a father.” For those men who did want to stay connected with their children, the prison structure made this difficult. Visiting rooms did not allow men to fully engage with their children, through activities like running or playing games. Correctional authorities could tremendously improve the life of fathers and children by providing better spaces for families to be families. Preserving family ties while incarcerated is associated with fewer offenses, positive parenting practices, and increased employment opportunities after leaving prison. In short, prison structures that allowed greater family connection could provide substantial social benefits. Talking about racism and race relations is often difficult, especially between a parent and child. Parents of color often feel the need to talk about these subjects to protect their children from violence and prepare them for racism in the world. But recent research by Megan Underhill suggests that White parents more often remain silent on these matters, ignoring the reality of race relations in the United States and allowing for the continuance of White privilege and dominance. Through interviews with 40 White, middle-class parents in Cincinnati, Ohio from 2014–2015, Underhill questioned parents about their communications with their children regarding racial protests and violence — in Cincinnati in 2001 and Ferguson in 2014. Originally Underhill focused on the shooting and protests in Cincinnati, a city that is essentially half White and half Black. Then, a month into the interviews, violence in Ferguson occurred, so Underhill started asking parents about both cities (though not all parents originally interviewed were questioned on these latter events). Part of the reason seems to be that parents themselves had little knowledge of U.S. race relations and therefore felt like they could not have meaningful conversations about race with their children. In sum, this research demonstrates that White families — in contrast to families of color — lack either the willingness or the ability to talk about race, even in the face of current events. And this practice will surely only support the status quo. What Makes Discrimination Trend on Twitter? Social media serves as a space where users can react to events (like the Parkland school shooting) in real time. While these conversations can be constructive, social media can also be a haven for anger and discrimination. In a recent study, René Flores examined what drives online bigotry, specifically in response to new laws. Flores focuses on Arizona’s SB 1070 law, which allowed authorities to demand immigration papers from individuals they thought may be undocumented. While a strong anti-immigrant response to the law on Twitter may seem to demonstrate a shift in attitudes toward immigrants, Flores argues that changes in behavior — in this case, an increase in posting and a change in the content of posts — may be to blame. Flores analyzed over 250,000 tweets posted between three months before and three months after the passage of SB 1070. Rather than sorting the tweets as positive or negative, Flores created a metric to rate the strength of sentiment in the tweets. He compared Arizona tweets to those in Nevada to measure changes specifically related to SB 1070, rather than other national or regional dynamics. After SB 1070, not only were there more anti-immigrant tweets in Arizona, but the tweets themselves were more negative. And further, Twitter users also directed negative sentiments toward non-immigrant Latinos, showing that the effect of SB 1070 was not limited to those targeted by the law. Beyond capturing the overall trends, Flores analyzed the motivation behind the tweets. Flores did not find evidence that neutral or pro-immigrant users changed their attitudes. Instead, users who already expressed anti-immigrant or anti-Latino biases drove the uptick in negativity. In other words, users who previously held an anti-immigrant stance posted tweets with greater negative content more frequently, at least in the immediate aftermath of the bill’s passing. This finding questions the possibility for laws to change attitudes in the short term, but demonstrates that laws can mobilize groups who already believe in the law’s sentiments. Users who previously held an anti-immigrant stance posted tweets with greater negative content more frequently, immediately after the bill’s passing. Teachers face difficult decisions in their classrooms, navigating both practical and more complex aspects of their profession. Racial segregation and discrimination are some of these more complex issues. In her recent study, Jessica S. Cobb investigated how teachers understand existing racial inequalities in their schools and beyond. She found that the local context of schools significantly shaped teacher perceptions of inequality. Cobb interviewed 60 public school teachers from three different California high schools. Two schools, with the pseudonyms “Bunker High” and “Solidarity High,” served predominantly low-income Latinx and Black students. The third school, “Heritage High,” served a mainly affluent, and majority White and Asian student population. Each school’s demographics, resources, and professional development characteristics helped to create a local culture that shaped how teachers thought about educational inequality. In a context of abundance and independent professionalism, Heritage High teachers attributed their privileged students’ success to their parents’ personal and financial investments. 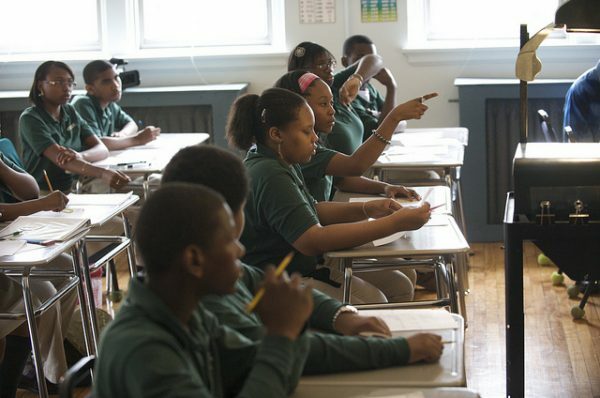 They perceived student differences to be the result of economic, rather than racial inequality. On the other hand, many Bunker High students lived in precarious food and housing situations, and the school itself lacked resources for teachers. These school characteristics, in combination with constant in-fighting among the school board and other administrators, meant teachers at Bunker High understood inequality as the result of this dysfunction. They said that dysfunction among adults, including school teachers, administrators, and parents, reduced student chances of success, and teachers often discussed this dysfunction along racial lines. While Bunker High and Solidarity High served similar student populations, Solidarity High had many resources and boasted a collaborative culture among teachers. Because of this local context, teachers at Solidarity High attributed inequality directly to racism. Understandings of race and racial inequality are more than just individual dispositions. They are shaped by the social context of day-to-day life. Understandings of race and racial inequality are more than just individual dispositions. They are shaped by the social context of day-to-day life. Cobb’s study suggests that when schools like Solidarity High receive more resources and foster a collaborative teacher culture, there are both material and immaterial benefits. In other words, school structures provide an important context for teacher’s perceptions of how inequality operates in their own schools and elsewhere. While social scientists regularly rely on surveys to understand individuals’ spiritual beliefs and practices, surveys rarely capture how an individual’s spirituality varies over time and by situation. In a recent study, Jaime Kucinskas, Bradley Wright, D. Matthew Ray, and John Ortberg use a new way of measuring spiritual experiences in real time to better understand these more nuanced aspects of spirituality. The authors developed an app called SoulPulse to measure how “spiritual” people feel on a day-to-day basis. The authors used a broad definition of spirituality, asking participants to think of feelings of transcendence, meaningfulness, interconnectedness, and/or awareness of a god or something sacred. Then, after an initial intake survey, the app sent short surveys to research participants twice a day for two weeks. In each short survey, respondents reported how spiritual they felt at that time, as well as to describe their situational context — who they were with, where they were, and what they were doing. People do not experience their spirituality as a constant, unchanging trait; instead, spirituality is shaped by day-to-day activities and social situations. 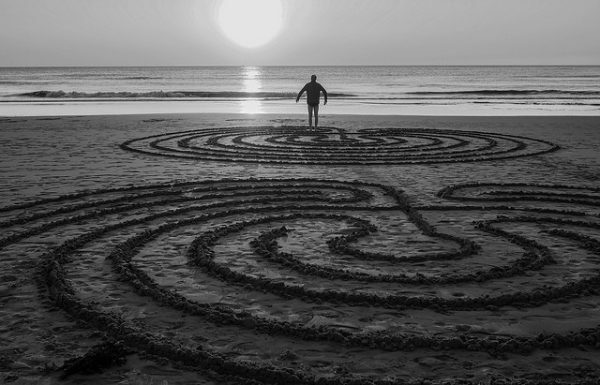 The researchers found that people’s spiritual awareness varies throughout the day. Not surprisingly, people were most likely to report feeling spiritual on Sundays and when engaging in activities meant to elicit spiritual feelings — like praying and meditating. But people were also more likely to report feeling spiritual in the mornings, when they were with their friends, or when they were listening to music. And people were less likely to feel spiritual while at work, when they were with their co-workers, or while interacting with technology (playing video games or surfing the web). In short, people do not experience their spirituality as a constant, unchanging trait; instead, spirituality is shaped by day-to-day activities and social situations. New and exciting research from the journals, vetted and summarized by the TSP graduate editorial board.